← What was new at the library this year? 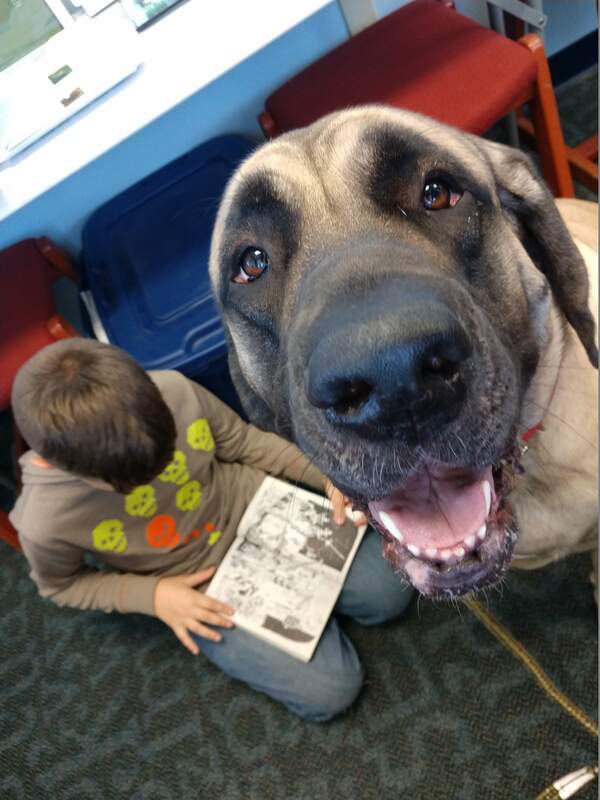 Miss Marlee and other trained therapy dogs await your young reader at Paws to Read. The pups from our Paws to Read program will visit our Headlands Branch on Saturday, January 12. If your child loves dogs but is shy about reading, then they (and you) will love our Paws to Read. The program is popular and fills up quickly, so you’ll need to sign up beforehand. You can register your child to participate online or call the Headlands Branch at 440-257-2000. This entry was posted in Uncategorized and tagged Headlands Branch, Mentor Public Library, Paws to Read. Bookmark the permalink.